Roy is a Digital Creative Director who specialises in the automotive industry. 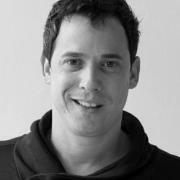 He launched his advertising career in Israel and has worked for brands throughout Europe: Hyundai in Tel Aviv, Mercedes-Benz and BMW in Hamburg and Ford in the UK. His digital knowledge helps to influence his clients and agency to create more integrated work. Roy has won many creative awards throughout his career and served as a jury at top advertising award shows globally.